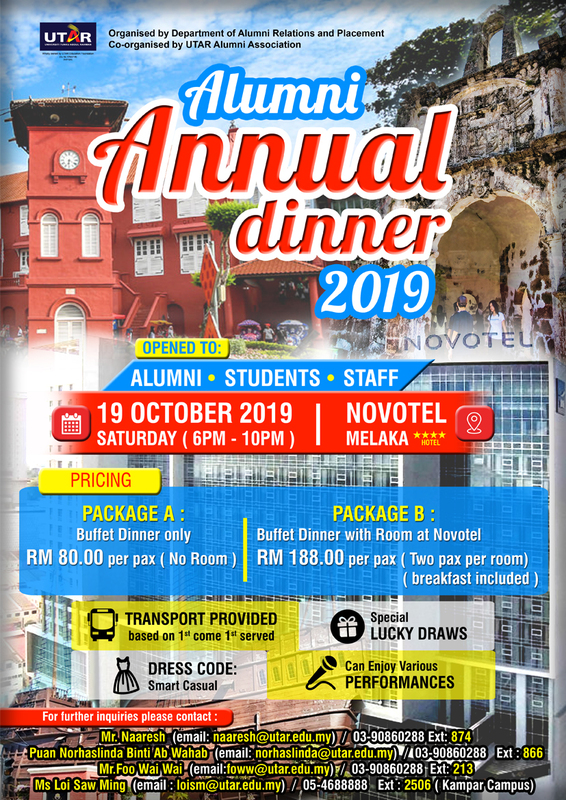 UTAR Alumni Relations & Placement Department (DARP) is proud to invite you to the Alumni Annual Dinner 2019 which will be held at NOVOTEL, MELAKA ON 19 OCTOBER 2019. We are looking forward to seeing you with other alumni and guests at our gathering. Click on the link below for more info. Kindly share this exciting news with all the UTAR Alumni friends.